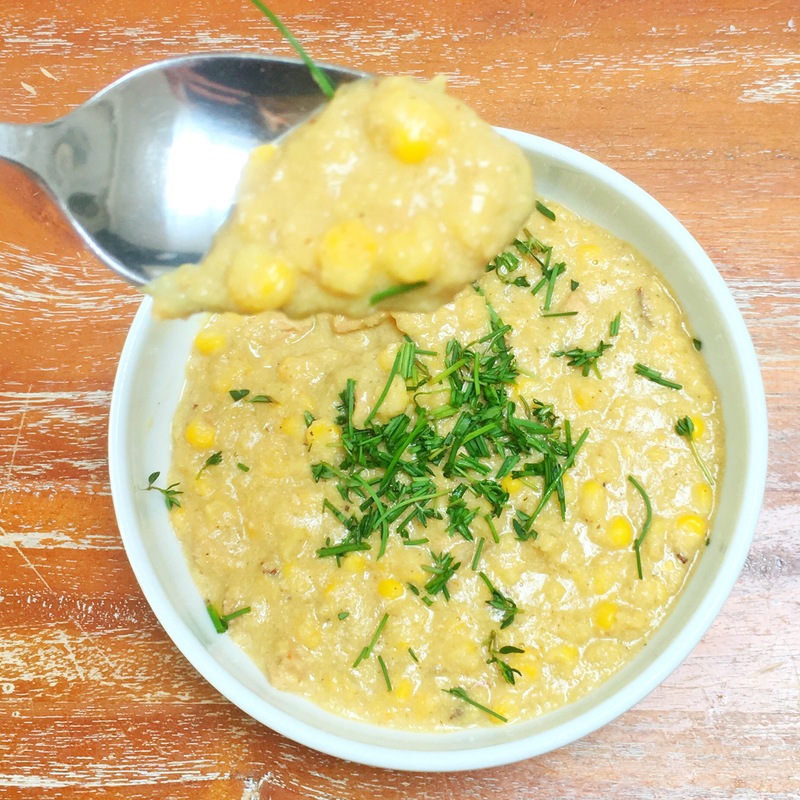 This soup is magic – fussy children will eat it! Although probably not with the fresh herbs on top. It’s also magic because it’s family food that grown-ups love too. Also, it’s super easy. You can use 2 heaped cups of frozen corn instead of fresh, and just leave out the husks. If your kids are weird about textures, you can just blitz the whole thing at the end. It’s better with some texture though. Remove kernels from corn but retain husks. Chop turkey bacon into cubes. Finely chop onion. Heat a pot to high and then carefully spray with oil spray. Fry onion and turkey bacon for 5 minutes until browned. Add corn kernels, and then add water and stock. Lastly, add milk. Turn heat as low as possible, cover and leave 30 minutes. After 30 minutes remove husks with tongs and divide remaining soup in two. Blitz half the soup and then combine with the rest. Serve with chopped thyme and chives.